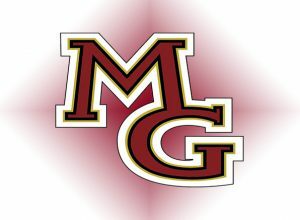 The first class of the Maple Grove High School Hall of Fame was introduced Friday. Inauguaral inductees are: Craig Hansen, the school’s first football coach who led the Crimson to three state appearances. Tia (Battle) Osei, a basketball standout who was an all-state pick and later played at Vanderbilt. Chad Morse, a Mr. Soccer award winner who helped the Crimson to a state runner up finish and later coached at MG.
C.J. Woodrow, a standout baseball pitcher at Maple Grove and the University of Minnesota and a star quarterback for the Crimson. Sonja Tengblad, a standout in the music program and musical theater at Maple Grove who is a music instructor in Massachusetts.